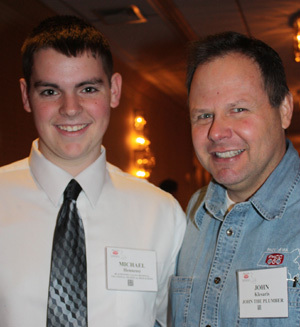 UPTON � Top Students from Vocational Technical schools throughout the state recently represented their classmates at the 2012 Vocational Technical School All Star program at the Plumbing, Heating, and Cooling Contractors of Massachusetts’ (PHCC) annual Trade Show in Marlboro. 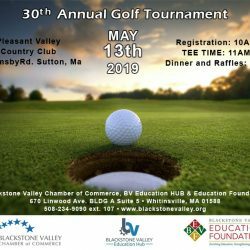 Representing Blackstone Valley Regional Vocational Technical High School among those students was Michael Hennessy, a senior in Valley Tech’s Plumbing program from Mendon. The PHCC of Massachusetts Trade Show draws industry professionals from throughout the state. It is a tremendous opportunity for students to network with members of industry. At the event, Mr. Hennessy received the 2012 Plumbing All Star Award from the PHCC of Massachusetts. Senator Scott Brown was in attendance to congratulate him, and other award recipients. Student honorees were given $500 worth of tools to start their careers. Mr. Hennessy was one of the few students to also receive $500 in scholarship money to be used to further his education. Mr. Hennessy will graduate in May and plans to pursue an apprenticeship with the Plumbers and Pipe Fitters Union and also further his education by studying business. PHCC of Massachusetts is the Massachusetts chapter of the oldest trade association in the construction industry—PHCC, established in 1883. The Association represents the interests of Massachusetts’ plumbing, heating and cooling contractors with a mission to educate, train, promote, and advance their industry.